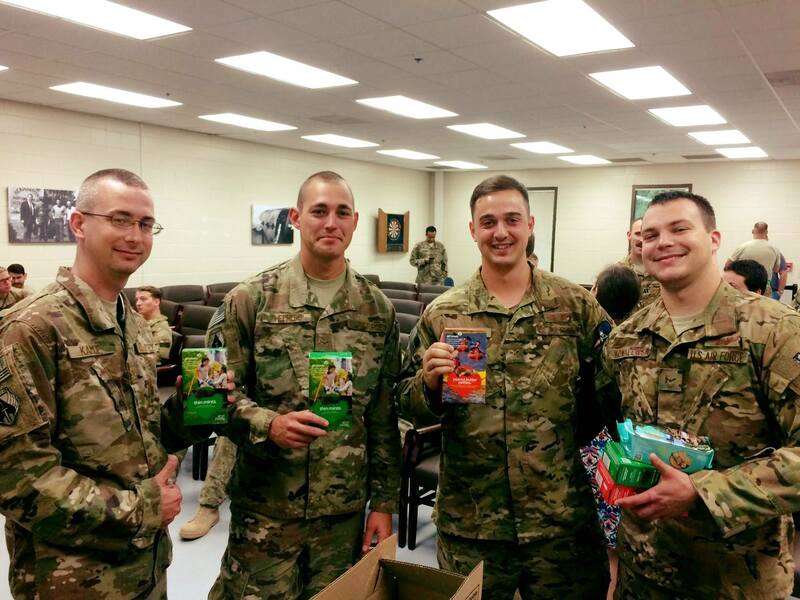 Montgomery, AL- Girl Scouts of Southern Alabama (GSSA) is giving back to our troops through Operation Cookie Care Package (OCCP). OCCP is a program through which customers make donations to Girl Scout Troops to purchase Girl Scout Cookies for our brave military troops. When the Girl Scout Cookie Program ends, Girl Scouts of Southern Alabama will deliver cookies to the designated military organizations, such as the USO and local military branches. Through the Cookie Program, the girls are taught five basic skills that are essential to leadership, to success, and to life: goal setting, decision-making, money management, people skills, and business ethics. GSSA has a goal to send over send over 7,000 packages to our armed forces. Girl Scout Troops can be found at local retail locations every weekend until the program ends. For more information on how to donate to Operation Cookie Care Package, or to locate a troop, please email customercare@girlscoutssa.org or call (800)-239-6636. The lead sentence says “Girl Scouts of America (GSSA)” but should be “Girl Scouts of Southern Alabama (GSSA)” … Thank you! Thank you. We will correct it.